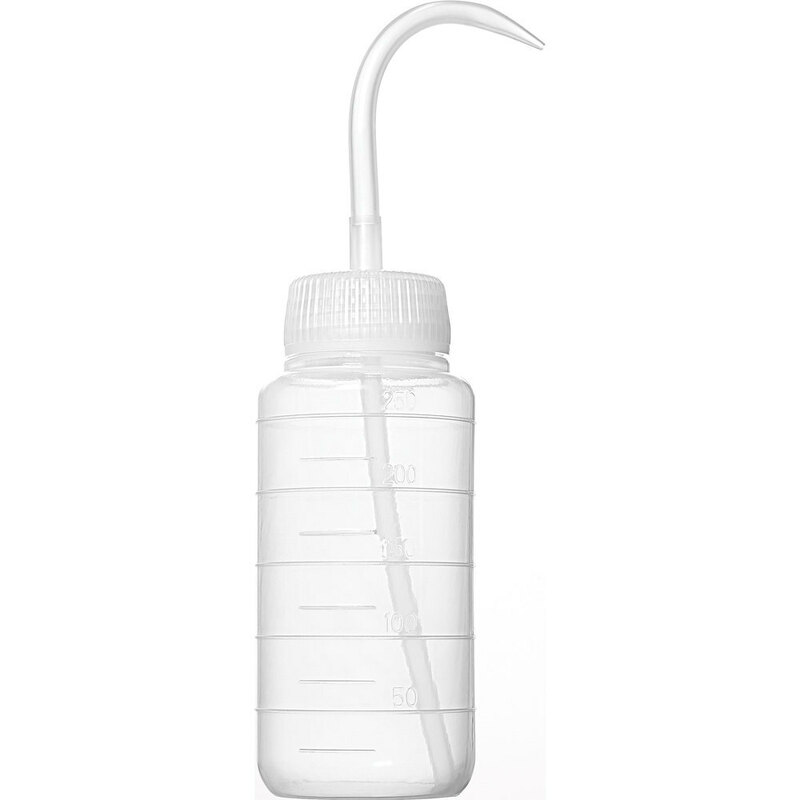 This lightweight 250 ml wash bottle is the perfect vehicle for storing cleaning solutions, water or acetone. The wide-mouth design allows for easy filling. Gently squeeze the plastic bottle to allow for a controlled flow of liquid. The long curved shape of the dispensing tip will help attain hard to reach areas. Cut back tip to increase flow. The measurement markings (ml) allow you to precisely fill the right amount of liquid in the bottle. To clean, just unscrew and wash out. Measurements: 250 ml, 250 gram, 8.3 oz.